In a recent article, we discussed the value of reexamining your kitchen’s appearance and functionality. Turns out, a little work can go a long way to improving your home’s value, and it all starts in the kitchen. Even minor kitchen improvements can make a dramatic difference. The first option we provided related to cabinet upgrades. 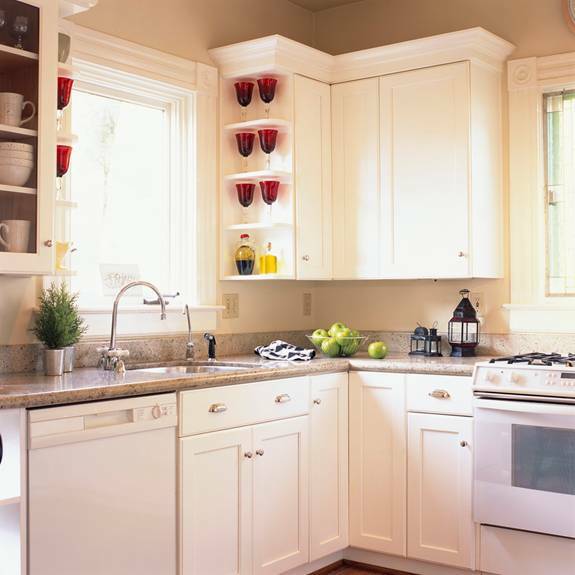 After cabinets, the countertops are probably the item most noticed by visitors to your kitchen. To achieve a new look on your countertops, clean them off! Declutter: it’s that simple! By taking away toasters, toaster ovens, blenders, etc. and storing them in a cabinet or pantry, you open the look of the room. Potential buyers will find it easier to see the potential of the space. Once the countertops are cleaned, you may find they are damaged or outdated. If you’re handy, you may want to head to the home improvement store and select a new counter. The more popular styles like granite or tile will be pricey, so you might want to invest in laminate, which is functional and available in a variety of colors and styles. Replacing the counter yourselves can save thousands of dollars, but make sure you know what you’re doing. If you aren’t handy, consider at least removing the current countertop and only hiring a professional to install the new one. By removing the old countertop, you can save two to six hours of labor and 10 to 15 percent of the overall cost, depending on the size of your counters. I clean and almost new kitchen will really add value to any property, next are bathrooms and if you have enough money to spend consider adding landscaping.